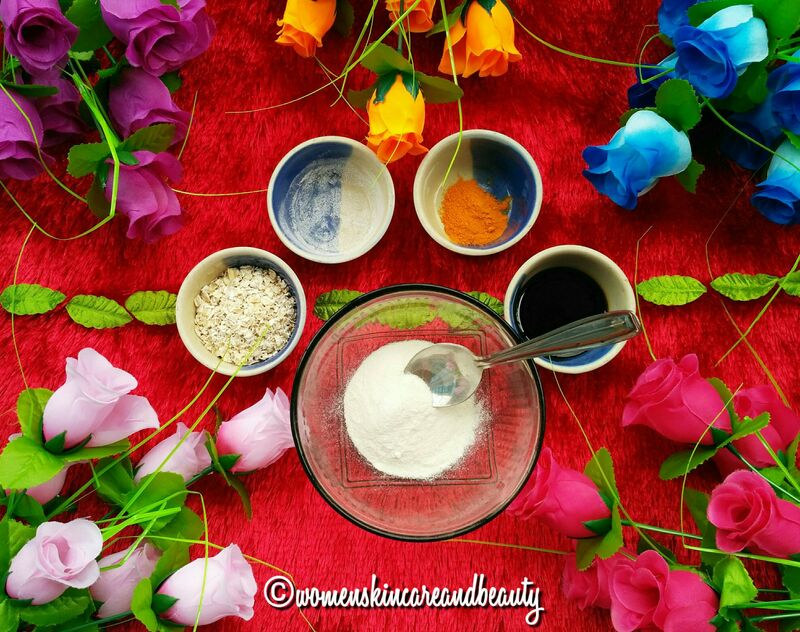 • Rice flour – Rice flour is a terrific skin exfoliator and contains skin brightening, soothing and oil absorbing properties! 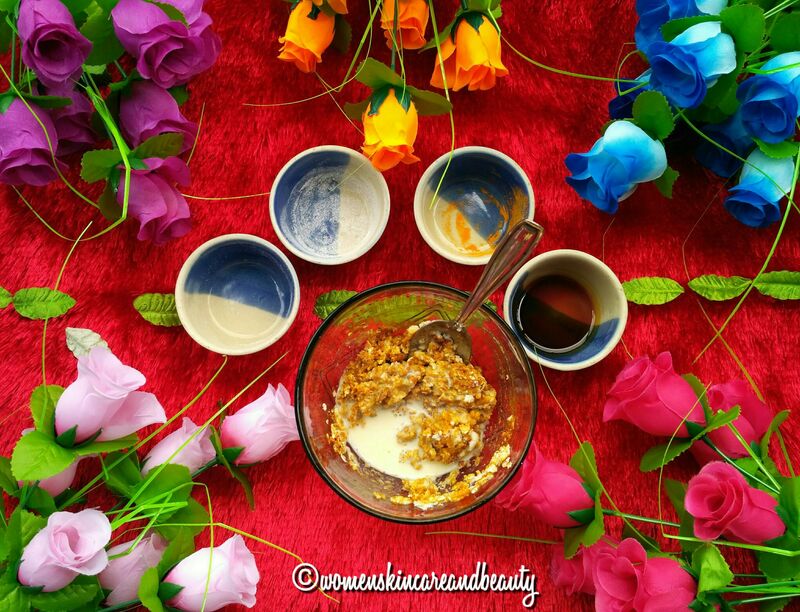 • Oatmeal – Oatmeal contains saponins that act as an amazing skin cleanser and exfoliator while the nourishing, soothing and brightening properties of oats make it an ideal skincare ingredient for all skin types! • Honey – Honey possesses clarifying and anti-bacterial properties that keep the skin clean while it is also very nourishing and keeps the skin supple! • Turmeric – Turmeric is loaded with anti-oxidants and possesses anti-inflammatory and anti-bacterial properties that keep the skin healthy! • Milk – Milk acts as an excellent cleanser as well as moisturizer! It helps in lightening suntan and also improves the complexion of the skin! STEP 1: Take the rice flour in a medium-sized bowl and add 6-8 tablespoons of milk over it. Mix both the ingredients together to make a thick paste! P.S. : If you don’t have store-bought rice flour at home, you can make the rice powder by grinding half a cup of uncooked rice in a mixer grinder! STEP 2: To the above mixture, add the oatmeal along with honey and turmeric powder and give it a good mix. STEP 3: Add 8-10 tablespoons of milk (add more if required) in the bowl and mix all the ingredients together to form a paste of medium consistency (neither too thick, not too runny). • Wet the body properly. • Take the mixture onto your palms and gently massage it in a circular motion all over the body, taking one section at a time. • Leave the scrub on the skin for 5 to 10 minutes after scrubbing and then rinse it off with water. Hi .After using diy rice and oats body scrub can I use soap on body. You won’t need to use soap dear, the scrub will cleanse the skin properly… But if you want, you can! 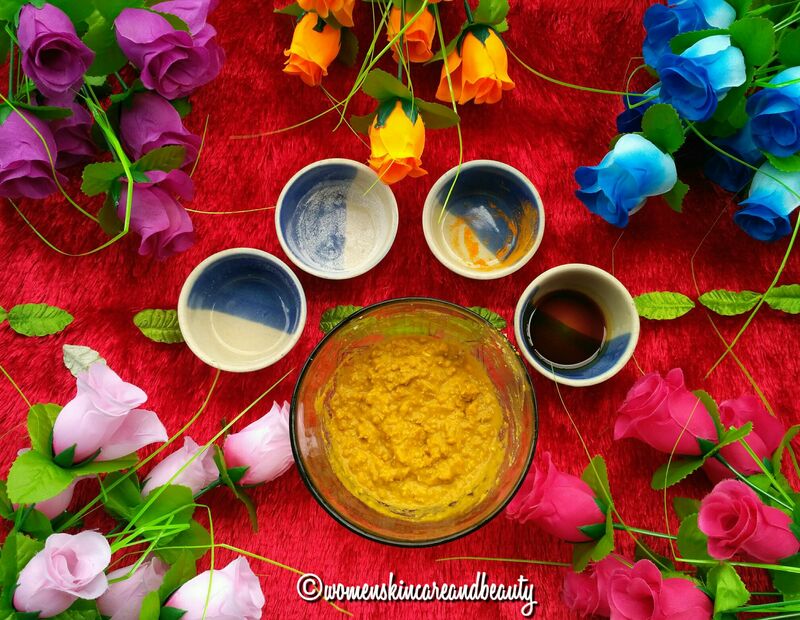 My doubt is aftr using any diy body scrub or any brand bodyscrub.can I use soap r not or its optional choice.And pls tel me how do u use body scrubs.And pls post more easy diy bodysrubs …. Wow, this one I am going to try right now. 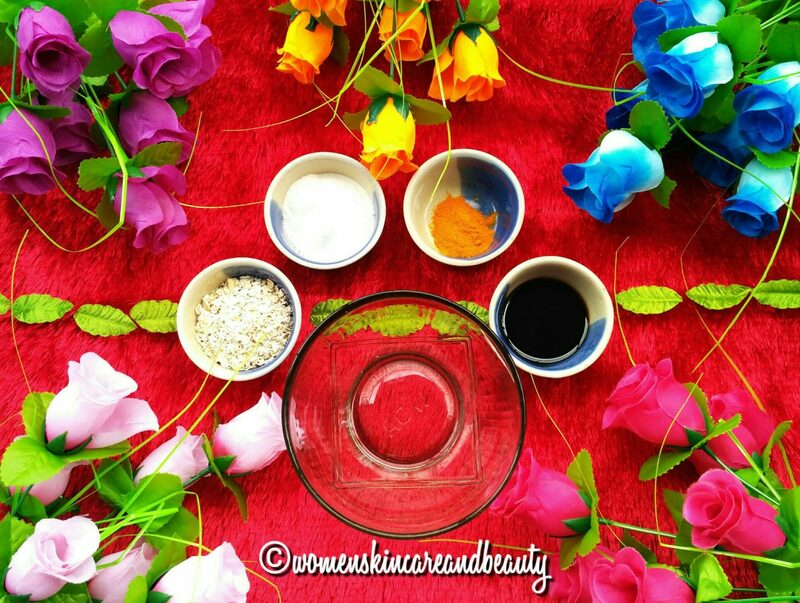 How easy it is to make a body scrub at home, that too all natural with all the wonderful benefits. Thanks for sharing this super useful DIY hack. Our pantry has the best ingredients that are great for skin. I dint know that rice flour has oil Absorbing properties.. Will try this soon. Instead of spending loads of money on products these DIY are so much more simple and believable. Rice flour and oat meal has such amazing exfoliation properties. Even the most coveted skin exfoliating product called Daily Exfoliant by Dermalogica has rice flour in it. Great post. This is a mustrtry DIY dear.. From where do you come p with these classic DIYs. I simply love them. There was a phase in my life when I went on oatmeal diet however I no longer require oats also I have now found a good way of utilising the packet of oats. Thank you for sharing this post. 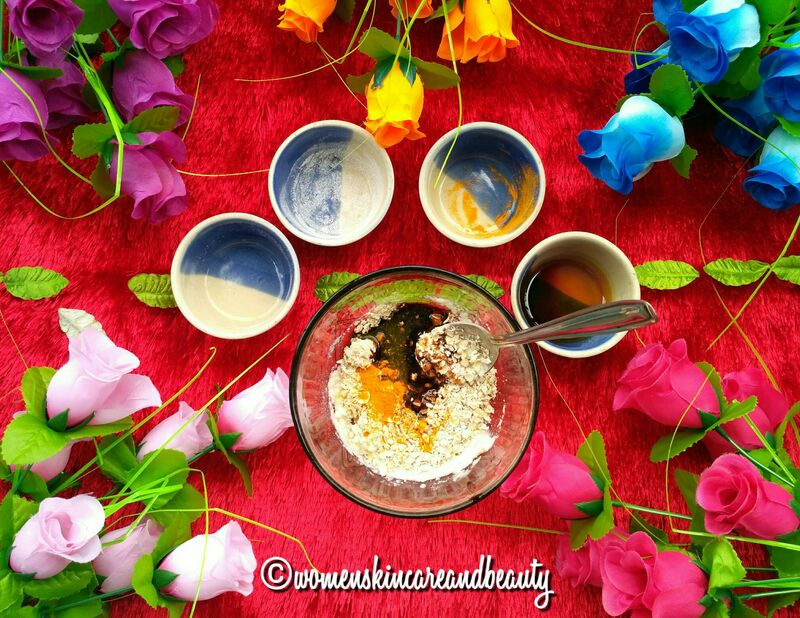 I love DIY skin care products for my skin care. I will try this soon. 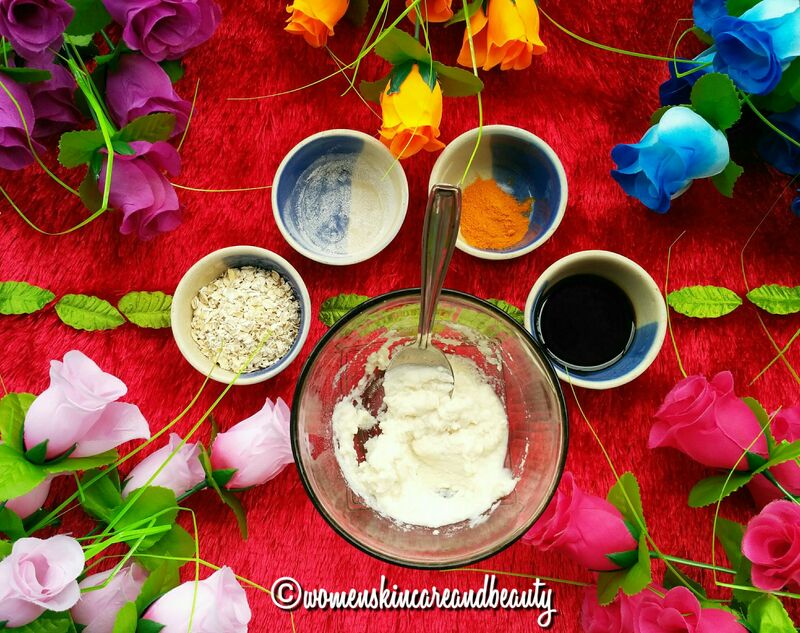 This DIY body scrub looks great, will try this at home. Amazing and beautiful post. Rice is a good natural scrub. It exfoliating the skin and make it supple. I too use a variant of this DIY scrub. It works beautifully for my skin. This DIY body scrub looks really good. I love the oatmeal for my body. A very nice diy scrub idea. I casually use oatmeal and milk to scrub dead skins off my face sometimes. Have never tried on body. This is a very nice and easy DIY body scrub. It will be soothing for my sensitive skin. Yes! Thanks for visiting dear! Really, rice is an important part of our life and it is a good scruber also. I will surely try it. I remember mother recommending this before my marriage, it has all natural ingredients and exfoliates the skin well.